Here's a new interesting game. Before I even start explaining this, adjacent includes diagonally adjacent. Thank you. 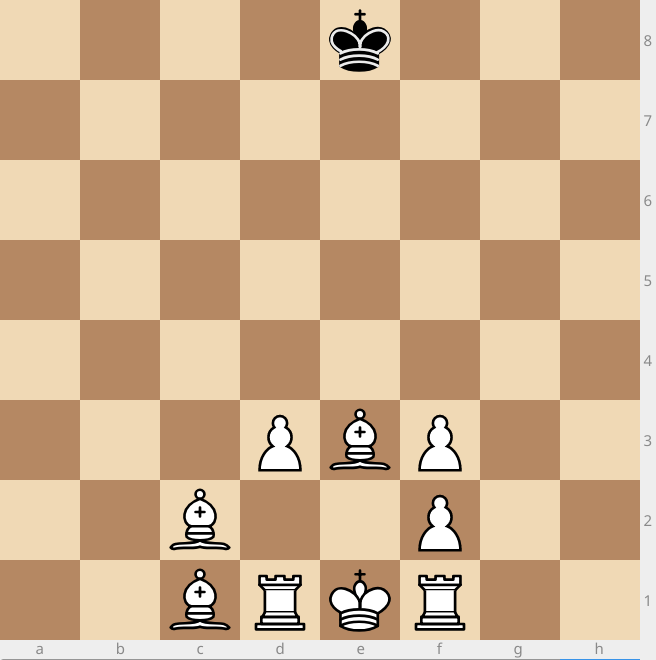 White goes first, as in normal chess. Pieces don't move. On your turn, instead of moving, you must place a queen of your color on a square adjacent to your king. If there are no open spaces adjacent to your king, you skip this part. New: You can capture an enemy piece using this queen drop. Then, one generation of Conway's Game of Life ensues, using your pieces. You lose when you are in check at the end of your turn, or if your king gets captured. The type of piece generated by Step 3 is determined by the lowest-valued piece adjacent to the square. 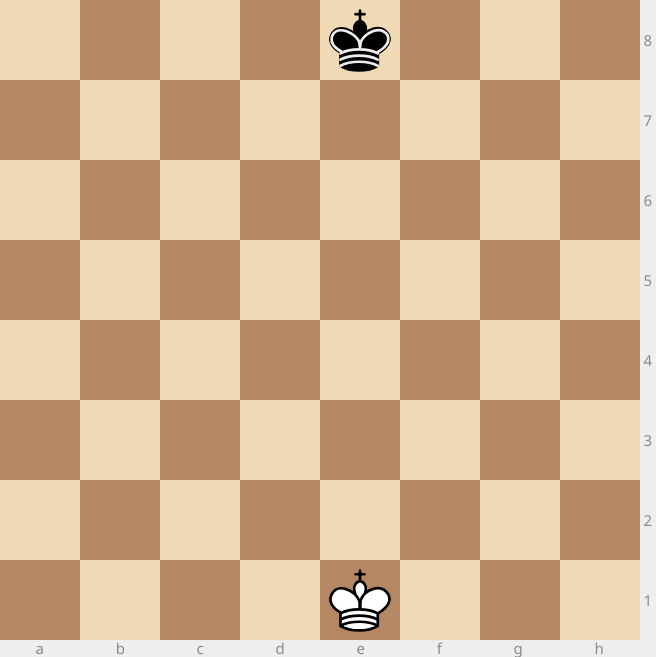 If the lowest-valued adjacent piece is a queen, the piece generated is a rook. If the lowest-valued adjacent piece is a rook, the piece generated is a bishop. If the lowest-valued adjacent piece is a bishop or pawn, the piece generated is a pawn. Your king can't die to overpopulation or underpopulation, but your other pieces can. Ignore your opponent's pieces when you do your generation. 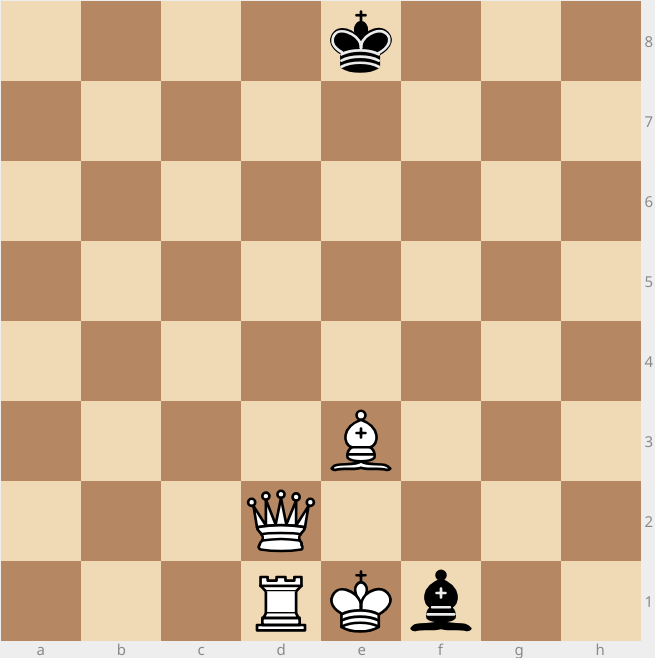 If you would place a piece on top of one of your opponent's pieces, that piece is captured, as in normal chess, and place your piece as normal. You can't go off the chessboard. You can place pawns on the first or eighth rank. Pawns don't promote. For game balance, a birth can take place with exactly 2 neighbors. I've probably missed some important bit of the description, but..
From the starting position, the only move is to add a queen. That queen will always instantly die from underpopulation, as will your king. - White drops a queen on d1. - White rooks born on d2 e2, queen on d1 dies. Rook on e2 gives check. - Black drops a queen on e7. - Black rooks born on d7 d8 f7 f8, queen on e7 dies. - Black queen's death rediscovers check. ...game over? Or did I miss something. As noticed by @deep thought the solution appears to be a simple two mover (give him the victory point - this is just to show it graphically). This is the convention I'll use below. The queen can be placed on one of the 5 squares around the king. If no square is available, I'll have the move as 0. Not the answer you're looking for? Browse other questions tagged chess game or ask your own question. How many Chess Pieces are needed to control every square on the board?